Well, I'll be 15 in two months, and I haven't used this site in over two years. I've recently gotten back into the idea of making a game with RPG Maker 2003. That game will be an SNES version of Final Fantasy 7. 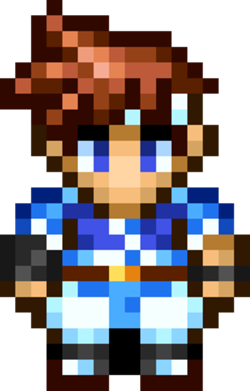 I'm working on getting the charatcer sprite sheets from FFRK.